The biggest hurdle most people have to clean eating isn’t always the food. It’s the sticker shock when you see the grand total on your grocery bill when switching from Hot Pockets to whole foods. I’ve often heard that it difficult to afford eating healthy. I won’t argue with you there. Real, whole food is pricier than processed foods, but the investment you make today will greatly affect the health of your future. With some planning and smart shopping you can eat healthy on a budget. Cook your own meals – getting my clients into the kitchen and cooking is the most important thing that I can do as a health coach. Studies show that people who cook their own dinners most nights tend to eat significantly less sugar, fat and calories. They save about 140 calories a day which could add up to several pounds of added weight each year. Skip the restaurants and you’ll save big bucks too. Pick a simple recipe to start and with practice you’ll be an expert cook in no time! Plan your meals and shop with a list – It is always a good idea to have a plan. You’ll save money by knowing what you need and you’ll make less trips to the store. 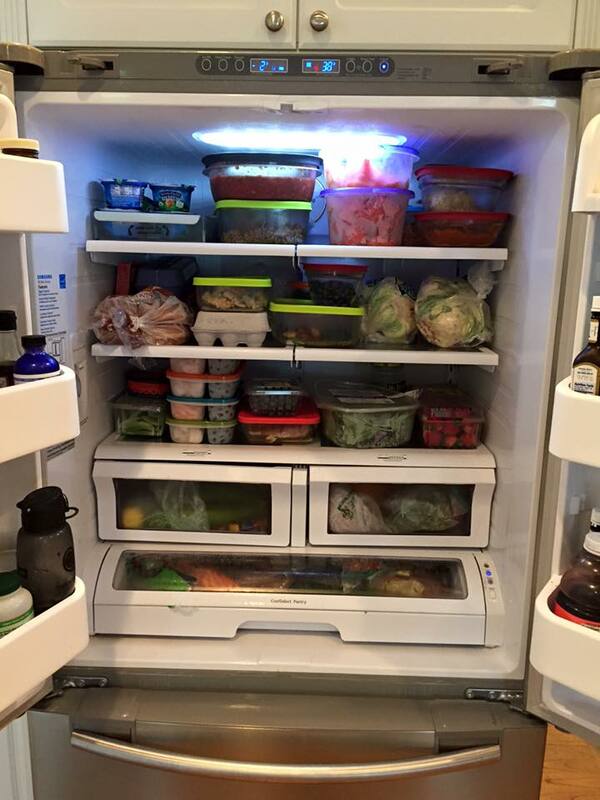 It’s also a great way to ensure you’re eating what’s in the fridge and not letting it go to waste. Check out your store’s weekly circular and plan your meals around what’s on sale. Sunday is a popular day to sit down and plan for the week. Buy in bulk – Get familiar with the bulk section of your local health store. Since you’re not paying for the packaging, bulk foods are generally much cheaper. You can buy grains, beans, spices, nuts, seeds, flours etc in bulk. This is also a great way to try out some new recipes or foods without having to buying a whole 16 ounce package when you only need a 1/2 cup. You can purchase exactly what you need – 1 tsp or 3 cups. Save on Protein. Beans are cheaper than beef and they’re a great source of plant-based fiber and protein. Consider having one meatless meal a week to save money. Stock up on less expensive protein options like eggs, canned tuna or canned salmon and save the steak for special occasions. Purchase and freeze good quality meats when they go sale. Ground beef will last 3-4 months and chicken will last up to 9 months in the freezer. Shop local and in season – You can find almost every fruit and vegetable at the grocery store year round. But we all know that tomatoes in the winter are not nearly as tasty as in the summer. Not only are seasonal foods more flavorful, they’re generally less expensive and more nutritious. Studies have shown that some crops can have up to three times more nutrients when grown in season. Don’t buy everything organic – buying organic food can double your food budget really fast. Get familiar with the Environmental Working Group’s (EWG) dirty dozen list which are the 12 fruits and vegetables with the highest amounts of pesticides. The Clean 15, on the other hand, are the produce will the least amount of pesticides. Prioritize your organic purchases by buying fruits and vegetables found on the dirty dozen list. Check out http://www.ewg.org/foodnews/ to get the list. Grow your Own – A two-dollar packed of mixed lettuce seeds can support your salad habit for months. If you don’t have a green thumb, I suggest you start out with growing some herbs like parsley, mint or basil to get some confidence in the garden. 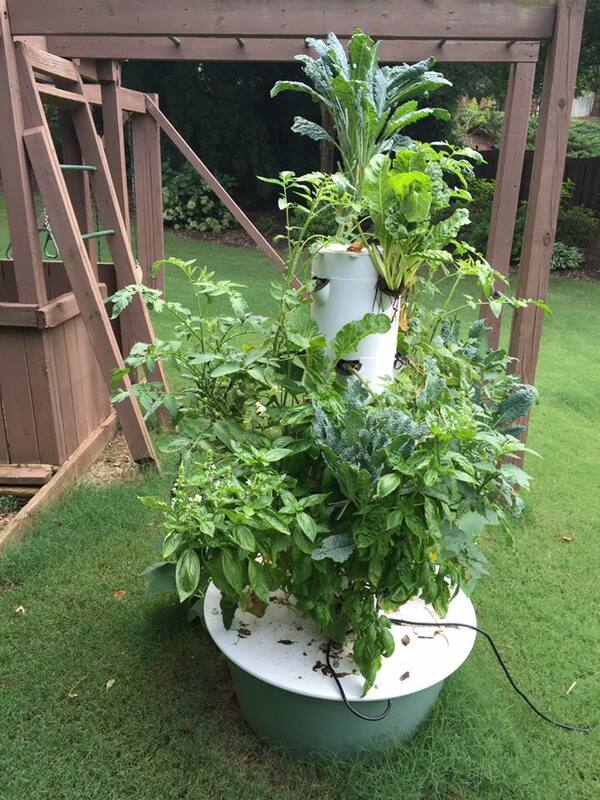 If you don’t have space for a garden or don’t want to deal with the maintenance, try a tower garden which used 90% less water, no weeding and grows 3 times faster! I love shopping at Costco and Trader Joes! Check out my favorite blogs for some ideas. Yes, it does take some time and effort to eat healthy. And sometimes healthy food just cost more. But like the old saying goes – pay the farmer now or the pay the doctor later!